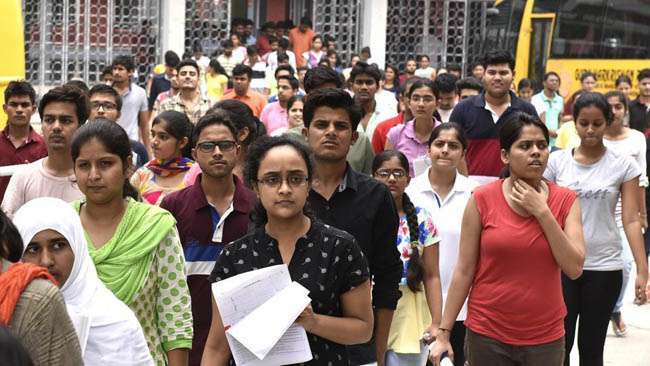 NEW DELHI: The CBSE has postponed class 12 and class 10 examinations scheduled to be held today in Punjab at the request of the state government in view of ‘Bharat Bandh’ called by several Dalit organisations against the alleged “dilution” of the SCs/STs (Prevention of Atrocities) Act. The board said it has received a letter of request, dated April 1, 2018, from the director general (school education) of the Punjab government to postpone all its examinations scheduled to be held today on account of apprehensions of law and order problems and other disturbances in the day during the ‘Bharat Bandh’. The state government has also taken a decision to keep all schools shut for the day, the CBSE said referring to the letter of the state government. “Taking congnisance of the letter of the director general (school education), the CBSE decided to postpone all class 12 and 10 examinations scheduled for April 2 , 2018 in the state of Punjab,” it said in a statement issued late in the night. “Exams will carry on as per schedule in UT of Chandigarh and rest of the country,” it said. The next date of the examinations in Punjab will be announced soon by the board, it added. An official spokesperson of the Punjab government in Chandigarh said the public transport services across the state has been suspended in view of the bandh call. The Supreme Court had on March 20 diluted the provisions of the Scheduled Castes and the Scheduled Tribes (Prevention of Atrocities) Act, in a bid to protect honest public servants discharging bona fide duties from being blackmailed with false cases under the Act. The apex court said government servants should not be arrested without prior sanction and private citizens too should be arrested only after an inquiry under the law . But Dalit organisations, including the Dalit Shoshan Mukti Manch, and some political parties fear the dilution of the provisions might lead to increase in violence against Dalits.